Are you longing to slink and spin like a Broadway star? Or perhaps bump and grind like a pop video icon? Whatever your dreams and whatever your style, there is bound to be a jazz class that is right for you! Choosing which jazz class suits you best is a process which ought to be both fun and educational. If you attend a studio where classes are filled on a walk-in basis, you’re in luck! You can try out as many different styles as you like and choose those which you enjoy most. This may mean spending a few weeks jumping from class to class, but you’ll be glad you tested the waters when you’ve made a confident choice. However, many dancers that attend walk-in studios never commit to one jazz class, but continually vary which classes they attend based on where they feel they need improvement or their mood on a given day! Some dancers, however, prefer the stability of a weekly class and a set schedule. For these dancers, it is still beneficial to try several jazz classes before choosing one. You may be surprised at which class challenges you or gives you the most enjoyment. If your studio requires you to register for classes, speak to the receptionist and the instructors whose classes interest you. Most likely, they will agree to let you sample the classes, or at least observe them, before committing to one for registration. If your studio, like most, offers jazz classes at different skill levels, it can sometimes be challenging to determine where you fit in. If you have never danced before, then the most preliminary level is probably best. Beyond this, you must use your knowledge of your own skills and experience to determine whether you belong at an elementary, intermediate, or professional level. Often, dancers fall in between these categories and this means that you could attend classes at either level, depending upon how challenging you’d like the class to be. Also, be aware that these terms are only a guideline and the way you perform in a class depends upon how familiar you are with the style, music, and movement vocabulary that an instructor uses. A class might seem elementary to a dancer who has been attending that class for six months, but that same class might feel more challenging to someone attending for the first time or someone who is simply less comfortable with the style. For this reason, again, it is always best to try or observe several classes before choosing one. Don’t be afraid to push your limits by attending a class at a higher level than your own, but be sure not to push yourself too hard so that you become discouraged or fall too far behind to benefit from the class. It is important to remember that every jazz teacher has a unique style. 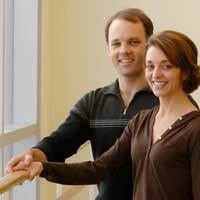 Your experience of any jazz class will be ultimately shaped by the person who is at the front of the room, so be sure that his or her style both challenges you and allows you to have fun. It is a good idea to talk to other individuals who have taken the class before. It’s also helpful ask the teacher for a description of the class, or even for a list of the music that he or she uses. This is a good way to get a sense of the pace and style beforehand. Finding the jazz class that is best for you ensures that your weekly experience will be one that is both challenging and fun. Not only will you become a better jazz dancer, but you’ll become a more capable and hardworking dance student!